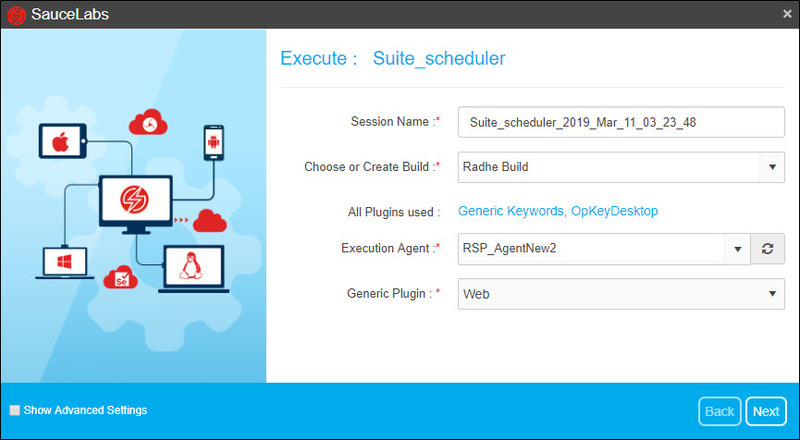 Now, OpKey allows you to execute your Test Suite on Sauce Labs. Sauce Labs is a popular cloud based cross browser test automation platform. 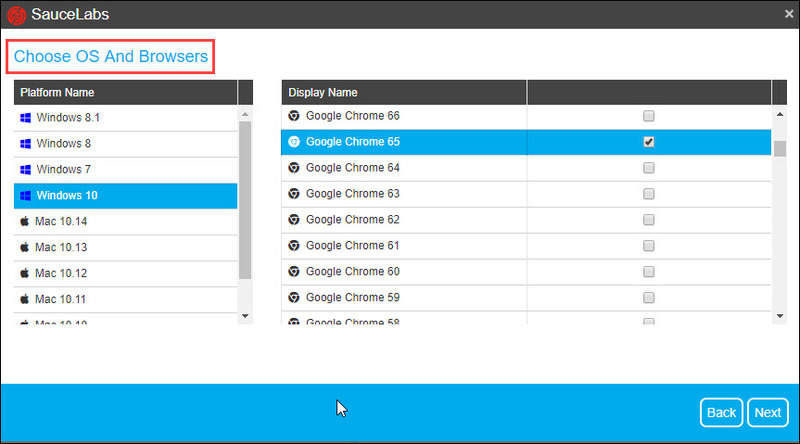 You can execute your Suite by choosing desired mobile (Android or iOS) & system platforms (Windows, Mac or Linux) based on chosen plugin (Appium, Selenium web driver or Web) in combination with the supporting devices & browsers (IE, Edge, Chrome, Firefox or Safari) respectively. Before using Sauce Labs in OpKey, make sure that you have Sauce Labs account with required credits. 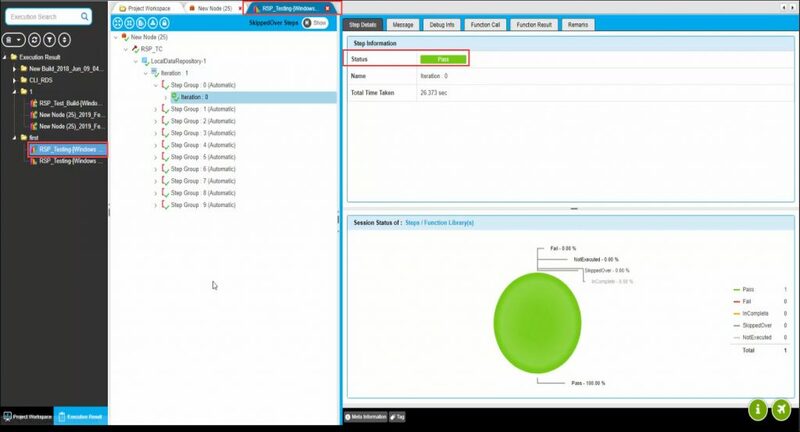 Let us see how to execute a Suite on Sauce Labs device(s). Create a Suite and click on Run on SauceLabs button. 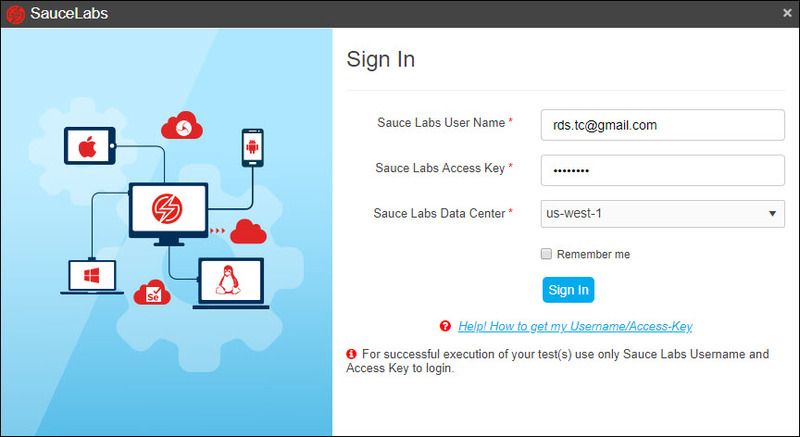 Sauce Labs login page appears. Sauce Labs execution wizard opens. Fill all required fields and click Next. List of devices (Android or iOS) with mobile OS or browsers with system OS on Sauce Labs will be displayed as per the selected plugin from the execution wizard. Here, Web plugin has been selected. 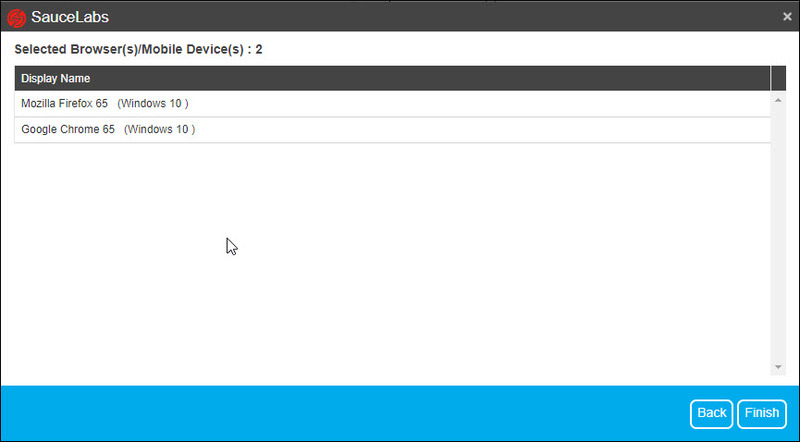 Select the OS platform and device(s). Click on Next to proceed. Click on Finish to start the test execution process. 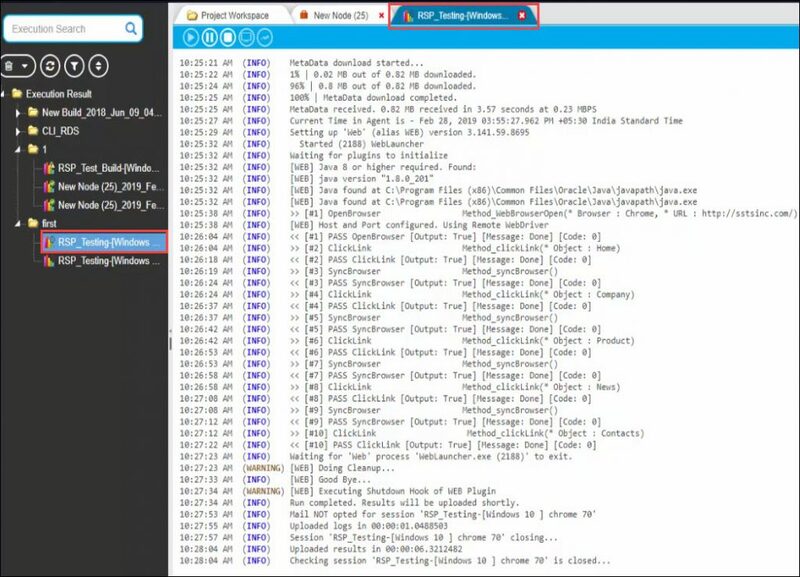 Have a look at the execution logs. Once the test execution has finished, have a look at the execution result.